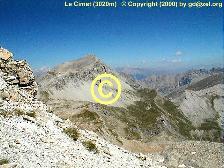 Photos from a mountain hike to Mont Pelat (3050m), in the natural park of Mercantour (Alpes de Haute Provence, Southern France), where dogs are prohibited, even if they don't east marmottes ;-). 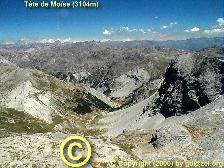 Departure: bridge of the Grande Cayolle, which is on the road from Barcelonnette to the Col de la Cayolle after Bayasse, where the Ravin de la Grande Cayolle joins the torrent de Bachelard. 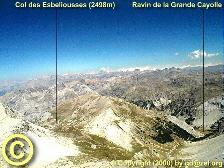 Elevation difference 1150m. 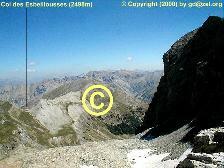 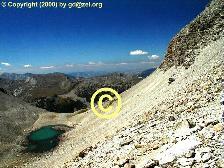 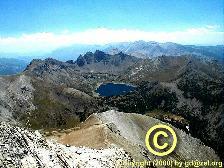 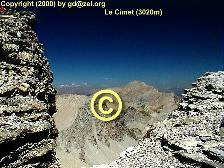 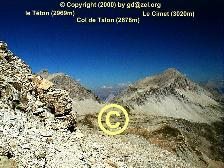 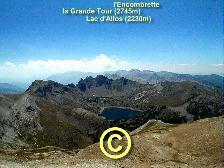 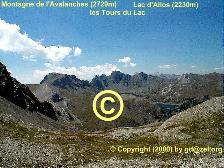 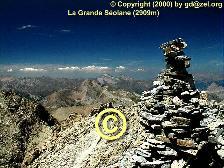 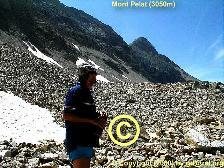 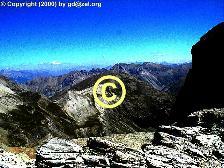 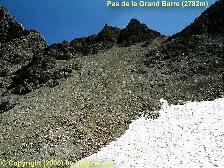 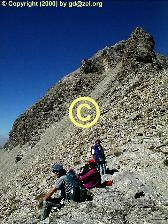 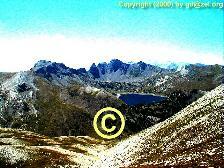 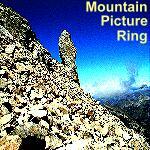 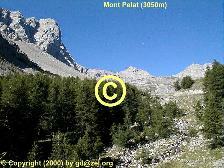 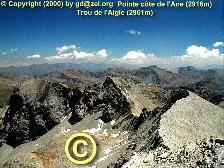 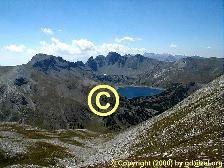 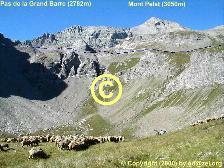 1: Le Mont Pelat (3050m), end of July 2000, via the Grande Cayolle valley. 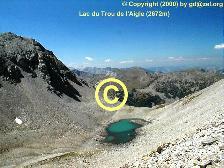 14: southview Le Lac d'Allos (2230), La Grande Tour (2745m), la montagne de l'Encombrette.